The 3 am wake-up call is often a reality for facility managers. 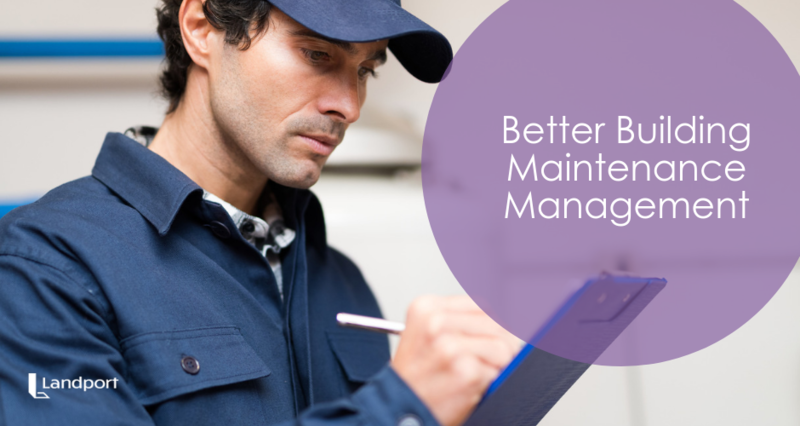 Only 6% of companies have a well-established maintenance department. Yet maintenance issues threaten the very existence of a business. Building maintenance managers need to prepare themselves for a wide range of emergencies that could occur at any hour. To do that, they need to understand what those emergencies entail. Below, we’re taking a look at common emergency building maintenance challenges and how to overcome them. When someone brings up the topic of a building emergency, fire is one of the first things to spring to mind. Hardly surprising, as fire risks are everywhere even in small properties. The risk grows with the size of the premises. Large concentrations of electrical equipment and potential fuel in commercial properties poses a still larger risk. And all this leaves aside the risk of arson, which is more likely to occur in non-working hours. Fire can cause extensive damage to operations or even destroy an operational site. Even with insurance, a company could take months to bounce back from a severe fire. Having a fire safety plan in place is vital for any facilities manager. This should be a two-stage plan, focusing on a) prevention and b) evacuation. Preventing fires is a matter of identifying risks and minimizing them. You should work with the occupants of the building to build awareness of fire hazards. This includes policies for keeping walkways clean, storing flammable material, and reporting concerns. Electrical inspections can identify and replace faulty wiring. They can also identify and upgrade the capacity of overburdened sockets. Fire safety equipment like fire extinguishers, smoke detectors, and sprinkler systems can defend a building in the event of a fire. Most important for human safety is a rigorous evacuation plan. This plan needs to account for all common fire scenarios. Responsibility for carrying out fire drills will also sit with the facility issues manager in many cases. Structural disasters can happen without warning. They include extreme weather events like floods and tornados. Earthquakes can also cause structural problems. But leaving aside natural disasters, a structural disaster could occur unforeseen – such as a collapsing floor. Both very old and very new buildings have an increased risk of structural disaster. Buildings of any age need close monitoring to be sure they’re in good condition. A structural emergency could lead to loss of life. The business will also lose a site of operation and all the equipment found there. Even if your building doesn’t suffer a full-scale disaster, an on-site injury could leave your company liable for injuries caused. Buildings in an area prone to natural disasters should have an evacuation or shelter policy in place for emergencies. In some cases, this may overlap with the fire evacuation policy. To avoid unexpected structural issues, a building maintenance manager needs to keep the building in a good state of repair. They should also encourage all tenants to “see something, say something” regarding maintenance issues. Hazardous material is any material that may pose a risk in the course of common usage. Common hazardous materials include strong solvents, gasses, and biological agents. For buildings over a certain age, material hazards can even double with structural maintenance problems. Asbestos is still present at significant levels in buildings across the world. A structural event could disturb asbestos, causing a severe risk to life. Even companies not working with hazardous materials at an industrial scale can expect workers to come into contact with cleaning fluids. These workers need to know what they’re likely to interact with and how to handle it. Hazardous materials can also pose a danger to the local community, so it’s vital that hazardous substances receive appropriate handling on site. And when they’re disposed of, disposal should be to safety standards. The main method for dealing with hazardous material is to educate the people coming into contact with it. In commercial properties, that usually means educating a workforce. Education should focus on awareness and safe handling techniques. OSHA guidelines provide a starting point for dealing with hazardous materials. These provide a good template for the expectations placed on the facilities manager. Preventing a hazardous material emergency can also be a matter of access control. Ensuring hazardous materials are only available to trained individuals will lead to a drastic reduction in risk. While it seems everyone’s now talking about cybersecurity, the threat of physical intrusion into premises hasn’t gone away. Social engineering techniques work as well in the real world as they do in cyberspace. Physical intrusion can pose threats ranging from theft to acts of violence and even terrorism. An intruder gaining access to your building can steal data or cause major damage. A security breach can even bring your company into disrepute. Companies that handle large amounts of customer data have a duty to protect it. Failing to do so could damage your reputation and leave you open to legal action. To overcome security breaches, the occupants of the building need to understand that security is in the hands of everybody. It’s important that occupants can challenge intruders and ask for credentials. The building should also have a reception and security area to control access to sensitive areas. The building should also have physical barriers between sensitive and public areas. Doors with electronic locks can help limit access to the general public. You should see by now that there’s a simple rhythm to building maintenance, built on challenges and solutions. These common emergency challenges should give you some idea of what you’re facing, so you can have solutions in place for when they’re needed most. Do you want to take your facility management to the next level? Found out what our software can do for you.